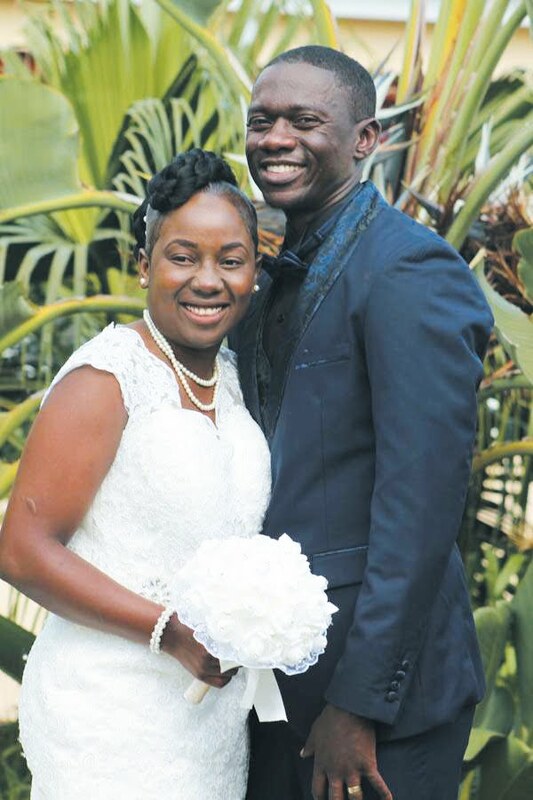 ZVISHAVANE - Pote Holdings marketing manager Kudzai Kanjanda is now a happily married woman after she wedded her long time fiancé Gareth Nyika on Saturday April 22, 2017. The wedding, which was held at Pote Hill Hotel, was one of the best weddings to be ever hosted at the same venue. Speaking on behalf director Clever Pote, management and staff, Pote Holdings general manager Tamson Mtombeni was full of praises for Kanjanda. "We really appreciate what has happened here and the director is also very happy about. He has sent me here to extend his blessings to this couple. "Kudzi is doing a great job here. Maybe some of you do not understand the kind of job this lady is doing; she is the one in charge of marketing Pote Hill Hotel, Pote Supermarkets, Pote Hardware, Pote Drilling, Pote Milling, Pote Farm and Pote Transport. She is the one in-charge of marketing all these companies together with her assistants," said Mtombeni. He also said by going into holy matrimony, Kanjanda had set a good example for others who are behind her.